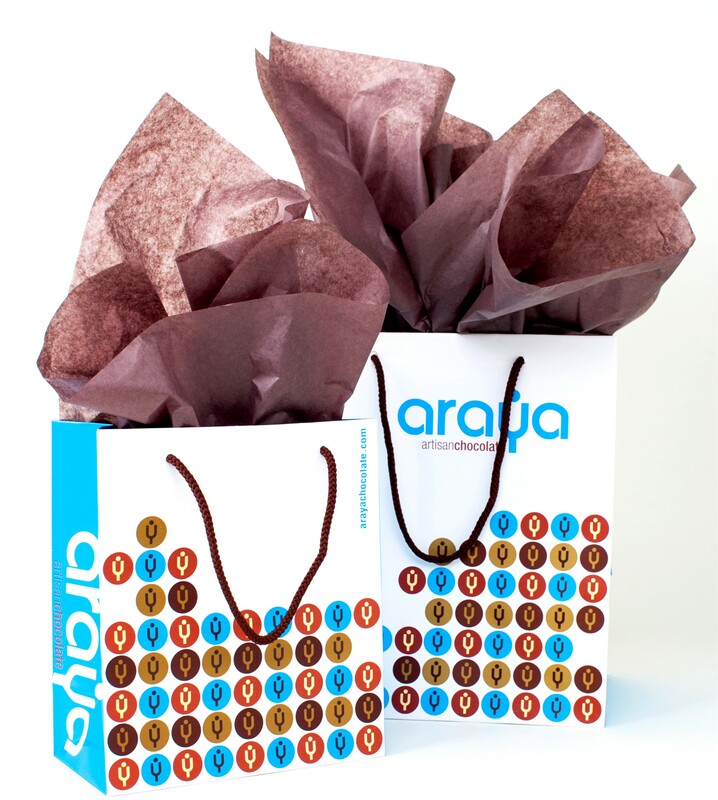 Araya Artisan Chocolate - Gourmet Chocolates. French Macarons. Luxury Gifts. Unique Treats. Best Chocolate in Houston. Personalized gifts. Custom chocolates. Custom boxes. Monograms. Custom ribbons. Gift Certificates. Shipping multiple addresses. We require at least 3-4 weeks after approval to fulfill orders for personalized products and packaging. Rush fees may apply. The custom fees described below does not include the cost of the product . 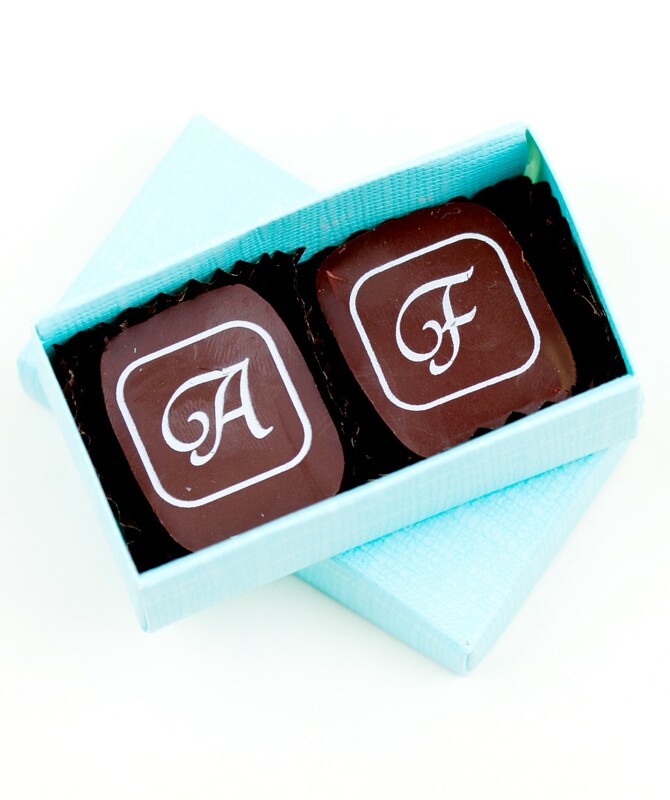 Standard design monograms on top of chocolates can be ordered and three different colors are available. From $90 for 350 images per letter. We can reproduce your logo or message on top of our chocolates. Please submit your files to arayachocolates@gmail.com in an editable vector based PDF, AI or EPS file format. JPG files may be used if it is in high resolution file and is only one color design. From $230 for 750 images per order. 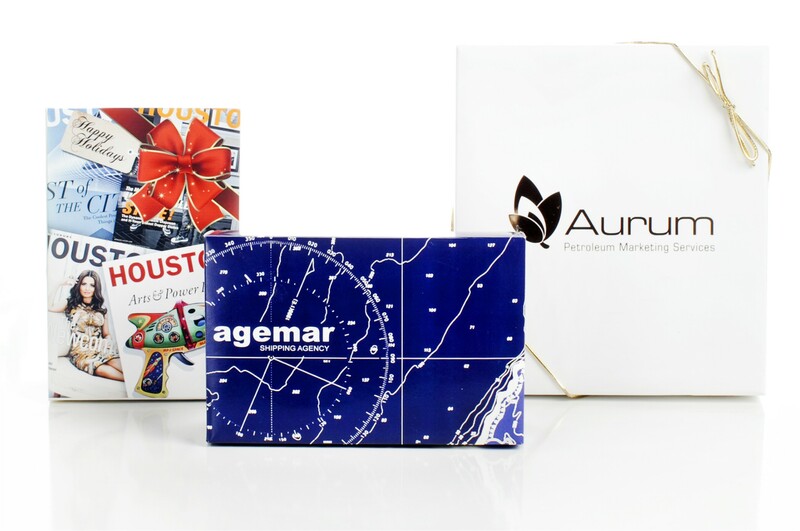 We can print a personalized sleeve or art work to cover some of our gifts presentation with your message or logo of your company. Printing and design set up fee varies depending on the type of box, from $60 to $300 for 100 sleeves. We will reproduce your logo or message on top of ribbon. Price will vary based on volume and type of ribbon. From $100 for 100 yards for a single color print on satin ribbon. We can make personalized labels or tags with a message or brides and groom names for your special event. Minimum quantities may apply. Price vary based on size and quantity, from $23 for 72 labels. Delivered by messenger in Houston and Katy is available within 10 miles around any of our three locations. Your gift will include a gift bag and any message that you might want to add. Gift cards are also available at our locations. We take care of any shipping to continental USA, and it can be made according to a standard set of freight rates. Shipping cost estimates are available on our website for any selected product. Orders from 2 to 500 units or more, to be ship to multiple addresses is advisable to order at least 3 weeks in advance. Fees may vary depending on the destination and weight of the products. Special packaging, insulated boxes and cold packs to protect and ship our products in optimum conditions are provided and charged separately as handling fee. When you can’t decide which chocolate gift to give, certificates are the perfect solution. 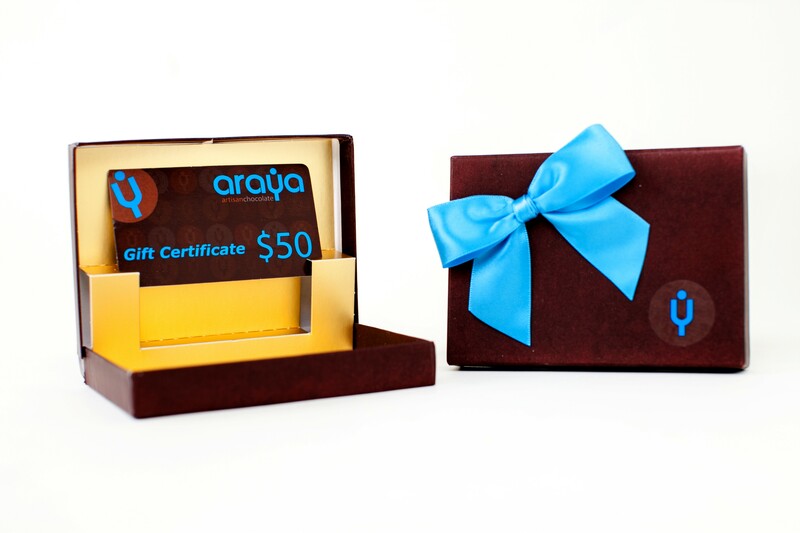 Available at any of our 3 location in amounts $25 and $50 presented inside an elegant brown velvet box.